How many trains are coming? Under Labor, in May 2007, initially 10 trains were funded. As political pressure over crowded trains increased, in October 2007, this was expanded by 8, making 18. In May 2009 this was expanded further by 20, making 38. All of these 38 are X’trapolis trains; because they were wanted them in a hurry, so they didn’t want to go through the extra effort of sorting out another design. They also didn’t want more Siemens trains, given the brake/adhesion problems those have had. X’Trapolis trains can only run on some lines. They displace Comengs which move onto the lines which actually get the extra services. Under the plan, the Coalition will expand Melbourne’s metropolitan train fleet by around 20 per cent by buying another 40 suburban trains during its first and second terms. In May 2011 they funded the first 7 of these, which have been added to the existing order, making it 45. At present, about 23 of those 45 have been delivered. Terry Mulder said the other week on radio that all of these would be additions to the fleet, eg no older trains are going to be replaced by any of these. These are extra trains to increase the number of services. So, to meet their 2010 election commitment, they have to fund another 33 trains during their first and second terms, which they’ve flagged will be a new, higher-capacity, more modern design of train. integrated wireless technology to improve the ability of passengers to use mobile devices and access Wi-Fi networks during their trip, with the potential to tap into high-speed broadband. Previous rumblings within the Department of Transport have also talked about 4 doors per side, and a continuous passenger area along the carriages, to fit more people aboard. It’ll be interesting to see how it turns out. Of course, with the trains finally getting organised, the problem now is: why aren’t trams and buses getting some attention? I know this is cliche’d but they should take a look at the rollingstock used on the Tung Chung line in Hong Kong. Of course being Melbourne I doubt a sparse seating layout would go down well, but 2×2 seating with a hand rail running down the centre roof of the car would be fine. I was very impresed with the acceleration and speed of these trains. The smoothness was very good also, although that probably has more to do with track quality. I can’t recall if they had wifi or not, but the A stock on the airport line which share the same tracks for most of the Tung Chung line’s length certainly do. To answer your rhetorical question seriously, I presume it is because they think the trams and buses are running OK, or at least so-so, but the trains are a major problem. The squeaky wheel attracts the oil. The trams run so smoothly that I was surprised when the former operator was replaced with the present one, but the present one is certainly doing a lot to upgrade the tracks. There have been some very major relays and upgradings (Spencer St, the 109 to North Port, Fitzroy St/Esplanade) in recent weeks and more imminently to come (High St Northcote, Swanston St, Elizabeth St, Haymarket). Like you I look very much forward to the new public transport planning authority to independently investigate and recommend continuous improvements rather than ad-hoc or politically motivated ones. I hope this leads to major improvements to bus routes and frequencies and many more new trams than the 50 on firm order and much-needed but simple extensions to the tram system. Dumb Question: Were they saying that the extra 40 trains (on top of the 38) would be running, or just purchased, during their first two terms? Assuming the rate of delivery is continued (eg roughly one train a month) I guess that’s easily achievable? @David, yep, I think you’re spot-on there. 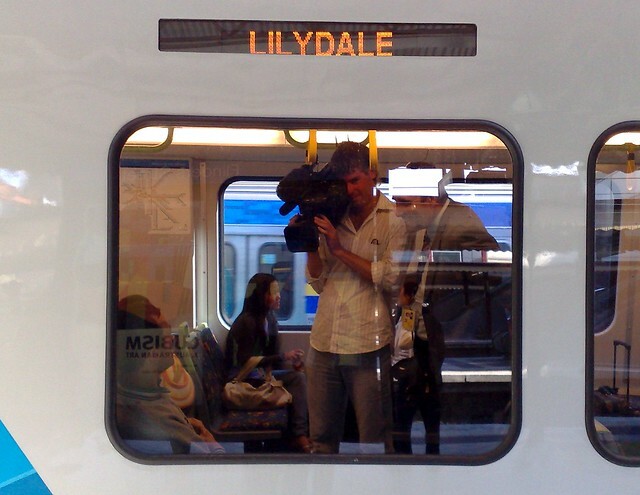 Trains get all the press. @Nathan, in my view, pledge would be deemed met as long as the funding was provided and the order placed before the end of their second term. Will these trains run on the former M-Train lines under this government? If not, then why? Will these new trains also be the same as the previous government ordered? It really is about time they sorted out this BS of some trains only being able to work on some lines. @Phill, I assume you are talking about the 7 ordered so far by the Coalition. Yes, they are the same X’trapolis models, because they were added to the existing order. See http://www.danielbowen.com/2009/07/29/the-new-trains/ for why it doesn’t really matter. Any info on the WiFi for the next gen trains? Wondering if its proposed to be a free service or paid? Could be great for encouraging more people to use PT. Maybe it will be similar to the trial by Queensland Rail? Forgive me for my lack of knowledge (and late comment), but what is it that stops the X’trapolis trains from running on all lines?